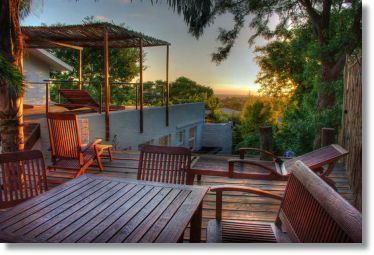 Somerset West Guest Houses with bed & breakfast services. Make these your accommodation during your holiday in Cape Town. Set in a quiet residential area, we offer newly renovated suites and double rooms set in a lush park-like garden with old trees and beautiful flowering beds and stunning views over False Bay.